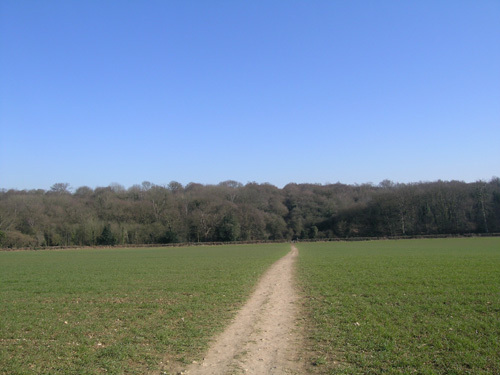 Covering an area of 165 acres Whippendell wood is situated to the west of Watford . The Grand Union canal and the river Gade runs alongside to the east separating the wood from Cassiobury park with which once formed the major part of the Cassiobury estate. 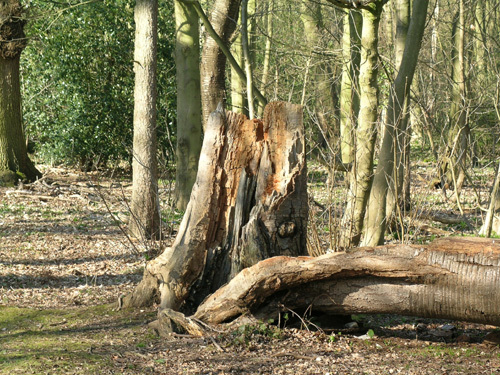 Local knowledge has it that the wood is mentioned in the Domesday book (1085) but it is at least 400-500 years old hence its designation by Natural England as an 'Ancient Wood'. 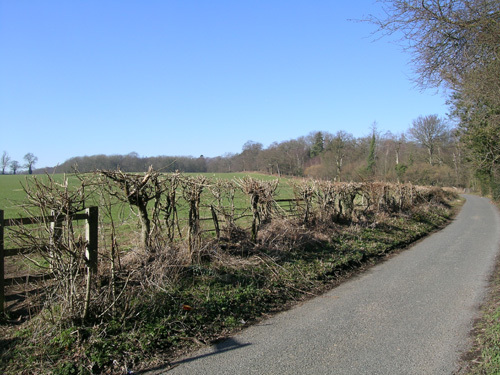 Whippendell was originally notified as an SSSI in 1954 and renotified in 1986. 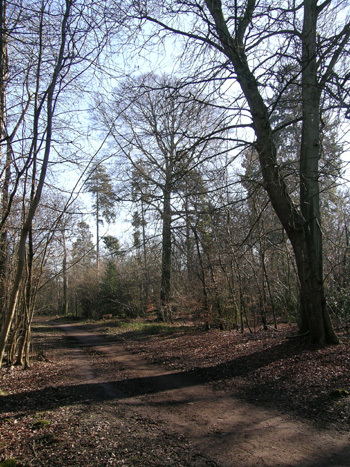 Over the years the wood has seen several man influenced changes; the northern part was cleared (1750-1880) and replanted with conifers and broadleaved trees, during World War II some specimens trees were removed and replaced with Silver Birch and Ash and it received several large bomb hits the craters of which are still clearly visible, more areas were cleared in the 1960s (Forestry Commision?) and replanted with Beech and more Conifers. More specimen trees were lost in the storm of 1987. 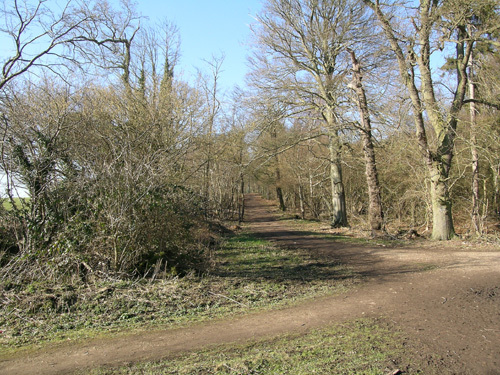 As an SSSI the wood is now managed by Watford Council to meet Natural Englands objectives of maintaining woodland composition. Sadly this doesnt prevent some local residents using the wood as a dump or trial bike track. 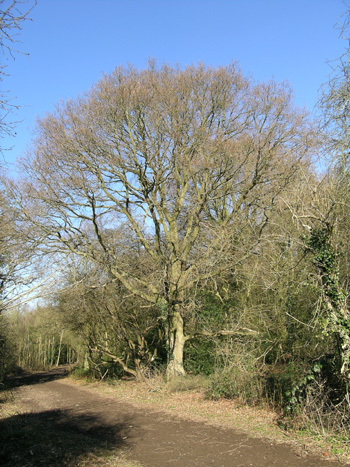 The main species of tree in the wood are Penduculate Oak (Quercus robur), Beech (Fagus sylvatica), Silver birch (Betula pendula), and Ash (Fraxinus excelsior) although Hazel (Corylus avellana), Hornbeam (Carpinus betulus), Holly (Ilex aquilifolium), Hawthorn (Crataegus monogyna), Wild Cherry (Prunus avium), Sycamore (Acer pseudoplatanus) and Spindle (Euonymus europaeus) are also present although the Sycamores are to be gradually felled as with NE policy to allow regeneration of natural species. There are large areas of Bramble, bracken and Dogs Mercury and several open glades. Dead wood is allowed to rot down which provides a perfect habitat for several rare and uncommon species of fungi, in fact Crepidotus cinnabarinus was found in 1995 as a new British record and only the 4th European record. Muntjac deer can be seen throughout the wood.